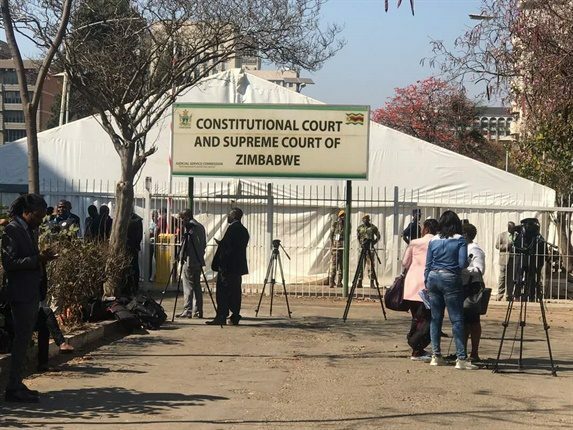 Yesterday the Constitutional Court dismissed the urgent application filed by the Media Institute of Southern Africa (MISA) Zimbabwe and Bulawayo based journalist Busani Bafana. Misa and Bafana were seeking consent to live stream Nelson Chamisa’s presidential challenge. The Concourt has already granted the rights to the state-owned broadcaster, ZBC, and they are selling the right in the range $4000 to $13 000. ZBC has since invited local and international broadcasters interested in linking with its live feed to come forward. Zimbabwe Broadcasting Corporation (ZBC) CEO, Mr Patrick Mavhura has assured the nation and the international community that they are ready for the big job ahead. “We are ready and I can categorically state that we have the technical capacity to broadcast live the Constitutional Court proceedings. We have been doing this, we have the state of the art high definition equipment which can provide feed to other broadcasters. I also want to assure other stations that we will provide telecasting that is direct feed without ZBC’s comments, already we have started broadcasting live our new and current affairs from the Constitutional Court so we are ready,” said Mr Mavhura. We will update the list as more channels come.